All about omega 3 fatty oils, foods high in omega 3, natural omega 3 sources, omega 3 benefits and side effects, omega 3 and weight loss. 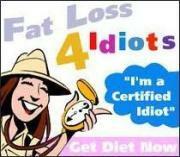 Fat in our food can be divided into saturated and unsaturated fat. Unsaturated fat can be further divided down into several fats which include the omega fatty acids, known as 3, 6 and 9. These omega fatty acids can be sub-divided even further but we’ll keep this relevant to what you need to know about eating a healthy balanced diet and focus on omega 3 fatty oils. Omega 3 fatty oils are split between what are known as ALA, EPA and DHA, without going into their long scientific names, but suffice to say that the omega 3 benefits are thought to derive from EPA and DHA. ALA has not been shown to be as beneficial to issues related to cardiovascular disease. Foods high in omega 3 fatty oils are listed in the natural omega 3 chart below, where you can find the value of ALA, EPA and DHA, as well as their calories, fat and protein content per 100g (or 3.5oz) edible portion. All omega 3 foods are divided into groups: fish, shellfish, fish oils, eggs, vegetable oils, and vegetables. 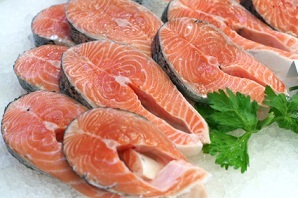 Fish high in omega 3 fatty oils include sardines, salmon, mackerel, tuna, herring, halibut, swordfish, etc. Non fish sources of omega 3 fatty oils include walnuts, flaxseeds, squash, kidney beans and of course no kitchen should be without olive oil. 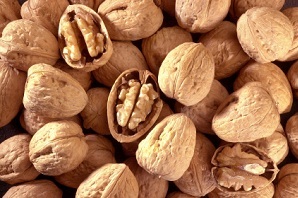 A number of foods can be found fortified with omega 3 fatty oils as well. Please note that vegetarian sources of omega 3 are less absorbent as they lack EPA and DHA omega 3 fatty oils. As well as protecting against cardiovascular disease, the health benefits of omega 3 fatty oils are thought to include lowering blood pressure with improved circulation, a reduction in pain from arthritis, certain cancers including breast and prostate, acting as an anti-inflammatory, boosting our immune system, improving our brain function and providing us with a longer healthier life. It should be stressed that there are innumerable research papers on the topic and it’s too soon to consider the omega 3 health benefits as conclusive. There are studies that have shown that the introduction of omega 3 fatty oils in our diet does increase the rate of weight loss when combined with exercise. In addition, other studies have shown that krill oil, krill are tiny fish rich in omega 3 fatty oils, are far better than fish oil at reducing our fat levels. In the United Kingdom, the Food Standards Agency suggests women who are looking to become pregnant should limit their tuna intake and avoid marlin, swordfish and shark due to the development of the child’s nervous system related to mercury in fish. Omega 3 fatty oils are believed to be very beneficial to the development of your baby, whilst pregnant. Is Omega 3 Pharmaceutical Grade - the Best Omega 3 Supplement? Unfortunately our diet naturally provides more omega 6 than 3, so if your diet is not providing enough EPA and DHA, then you might want to consider omega 3 supplementation. When purchasing omega 3 tablets, make sure that it contains at least DHA and EPA omega 3. 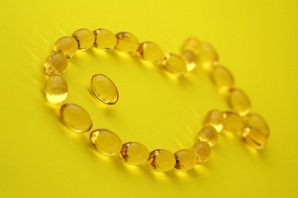 Some omega 3 fish oil supplements have been marketed as pharmaceutical grade omega 3 fatty oils and the only supplements free of mercury and the other toxic substances. Please note that the use of the term “Pharmaceutical Grade” is inaccurate, misleading and used only for marketing purpose, as there is no established pharmaceutical standard against which the substance can be compared. How Much Omega 3 is Enough? There is no recommended daily intake (RDI) of omega 3 fatty oils, but both the American Heart Association and FDA recommend not exceeding 3 g per day. For women, 1.1 g and men 1.6g per day are probably enough. Increase of bad cholesterol levels among hyperlipidemics and diabetics. Omega 3 fatty oils oxidation and formation bioactive oxidation products. Cardiac risk: Talk to your doctor before taking omega 3 fatty oils if you suffer from congestive heart failure, insufficient blood flow to the heart, or angina pectoris. Oils containing omega-3s should not be heated because of their fragile nature. Do not use any refined oil containing omega 3 fatty oils including avocado, canola, pumpkin, soy, or walnut oil, as refining will have denatured their heat sensitive omega-3s. Omega 3 fatty oils have a limited shelf life and are easily destroyed by heat and light, so purchase only omega 3 oils in small quantities, check “best if used by” date stamp, buy oils in dark bottles and keep refrigerated. When purchasing omega 3 supplements, choose those that are molecularly distilled. Per 100 grams (3.5 oz) edible portion Navigate to the required section of the table by clicking the picture icon below.